This image composite compares the observations of Mars made during the oppositions in 2016 and 2018. 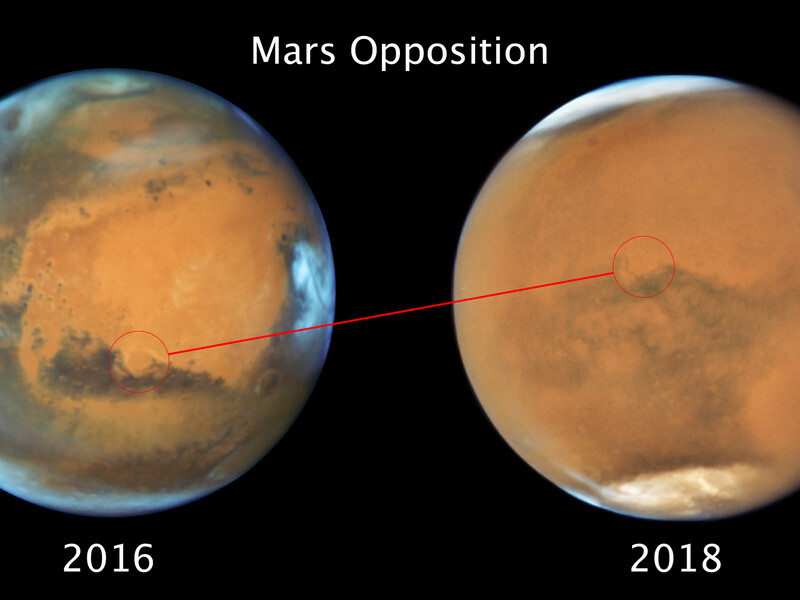 The image taken in 2016 showed Mars during a cloudy day. 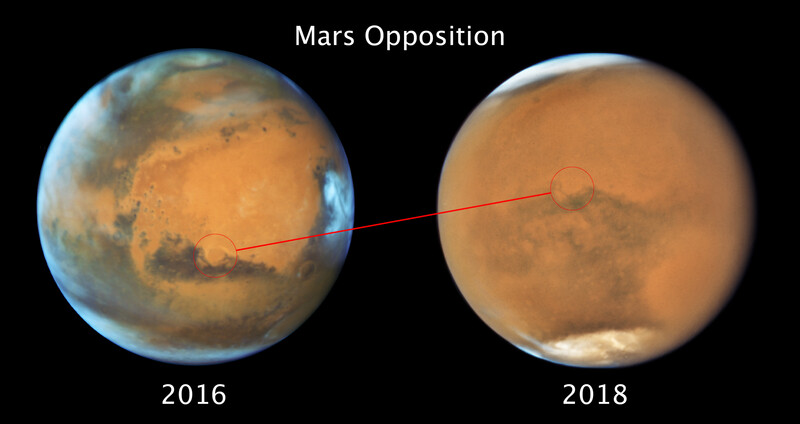 However, the ancient and inactive shield volcano Syrtis Major, the bright and oval Hellas Planitia basin, the heavily eroded Arabia Terra, and the dark features of Sinus Sabaeous and Sinus Meridiani along the equator were all clearly visible. 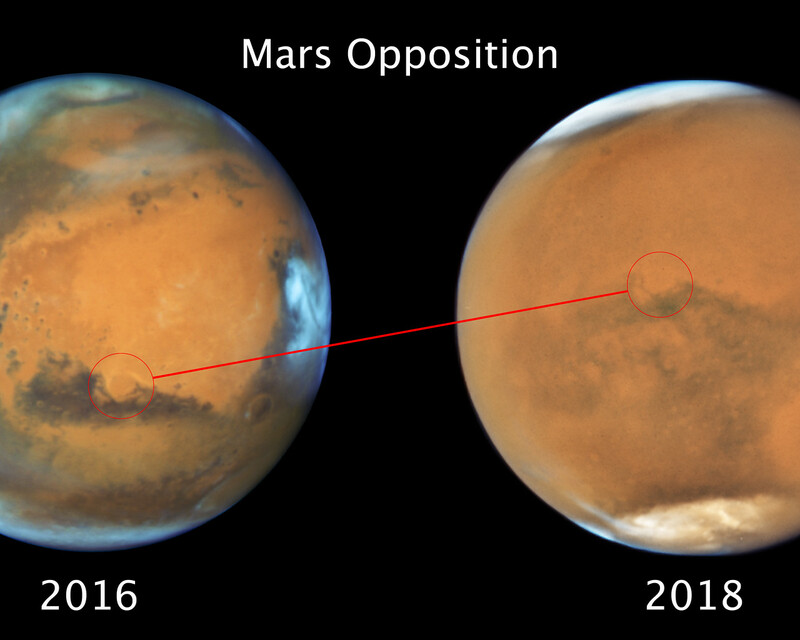 The new image taken in 2018 captured the planet while it was enshrouded by a gigantic sandstorm. 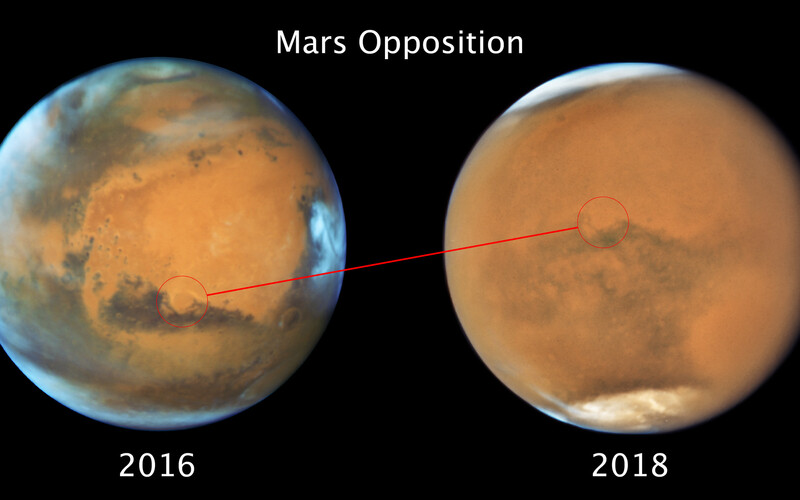 Still visible are the white polar caps, Terra Meridiani, the Schiaparelli Crater, and Hellas Basin — but all of these features are slightly blurred by the dust in the atmosphere.